In 1996, Lynette Johnson, a professional photographer, was approached by her sister-in-law Sally Elliot with a difficult request. &&#35;160;Elliot’s daughter and Johnson’s niece, Lanie, had been stillborn and Elliot wanted Johnson to take a picture of her before her funeral. The memory of the experience stuck with Johnson, and a few years later, while shooting pictures for a wedding, the bride mentioned to Johnson that she worked for the palliative care unit at Seattle Children’s Hospital. &&#35;160;Johnson immediately thought back to her niece and offered to come by the hospital to take pictures for the patients’ families. Initially, Johnson was the non-profit’s sole photographer, taking photographs of children in the greater Seattle area. &&#35;160;But since Soulumination’s inception, the organization has now grown to encompass more than 40 photographers and over 120 community volunteers, who help serve families across the country. Johnson has now photographed hundreds of patients, including children with terminal cancer, heart disease, issues stemming from premature birth, Tay-Sachs disease and severe seizure disorders. When she first started Soulumination, Johnson said many of her friends and family would express amazement at how she was able to surround herself with such grief and pain. &&#35;160;But while it’s been emotionally difficult at times, she and the others continue the project without hesitation. Johnson said that every family she has worked with has had a positive experience with the photo shoots, and not one parent has ever expressed regret over having pictures taken. &&#35;160;She noted that some families were hesitant to have the photographs done, as they felt it meant they were stepping into the dying process of their children. &&#35;160;However, Soulumination has photographed many children who do survive their illnesses. The photographs are more about honoring the individual than saying goodbye. Soulumination operates purely on outside donations and the unpaid skills of the organization’s many photographers. &&#35;160;Johnson said that their work generates a fair amount of monetary contributions from people they come into contact with at the hospital or through photo shoots. 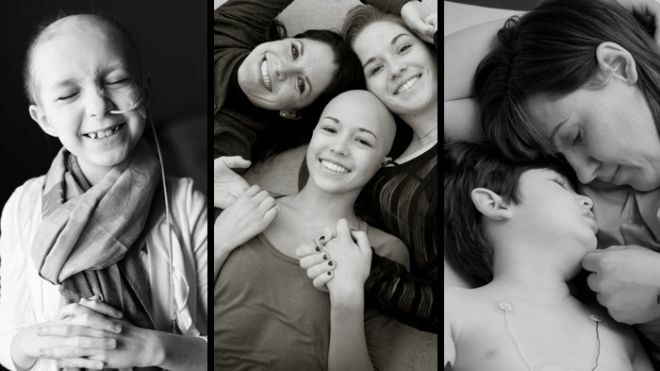 She recalled a time when she took photos of a young teenage girl named Sidney, who suffered from a terminal brain tumor. &&#35;160;A few months after Sidney’s funeral, Johnson said she received a thick envelope in the mail. Johnson vows to keep Soulumination running as long as possible, and she said she has spoken with other photographers interested in starting similar initiatives in other states – and even other countries. &&#35;160;According to her, the project’s success must be credited to the many people who have graciously donated their money and talents to help preserve the legacies of so many children.